Even when there's no evidence of roofing problems, it's smart to have your roof inspected every year by an experienced roofing contractor. Another time to schedule a roof inspection is after a severe storm. By taking care of basic roof maintenance and making minor roof repairs as required, you can avoid roof leaks that damage your home and your possessions. 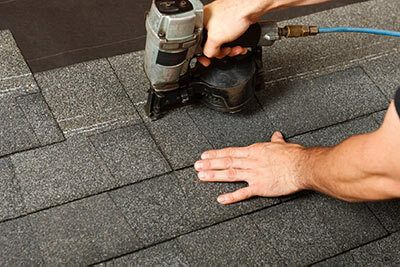 When a roofing contractor evaluates the condition of your roof, the primary concern will be the roofing shingles or other finished roofing material. But there are other roof details that also deserve attention. The functional condition of your roof is obviously your first priority. But many homeowners elect to have new roofing installed before the old roofing wears out, simply because a new roof can really upgrade a home's appearance. There are some exciting new roofing materials available – like composite shingles that look like old-fashioned roofing slates but are made from recycled rubber. Modern asphalt-fiberglass shingles have never looked better – especially the architectural grade shingles designed with extra depth and texture. 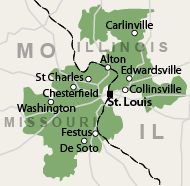 Roofers Nation works in St. Charles, Florissant, Ballwin, Saint Louis, Chesterfield, O Fallon, Granite City, Saint Peters and nearby in Missouri and Illinois. Contact us today!